The term, augmented reality (AR) is referred to as “a live, direct or indirect, view of a physical, real-world environment whose elements are augmented by computer-generated sensory input such as sound, video, graphics or GPS data”. AR is thought of as a variation of virtual realities or environments. Technically speaking, AR combines the physical reality with the digital world. Virtual reality cannot show the real world, but it creates a completely virtual one, as with video games, or a virtual reality helmet. Augmented Reality, on the other hand, enables users to see the real world with virtual objects, places, and contexts. Thus, AR does not replace the reality, but augment it. Why is AR an interesting topic? Does AR have use in education and in the classroom? AR enhances the perceptions and interactions with the real world so that users can be immersed in a real situation. Enhancing the fidelity of reality, for instance, can make students more immersed in a learning situation by helping better understand the real-world contexts. 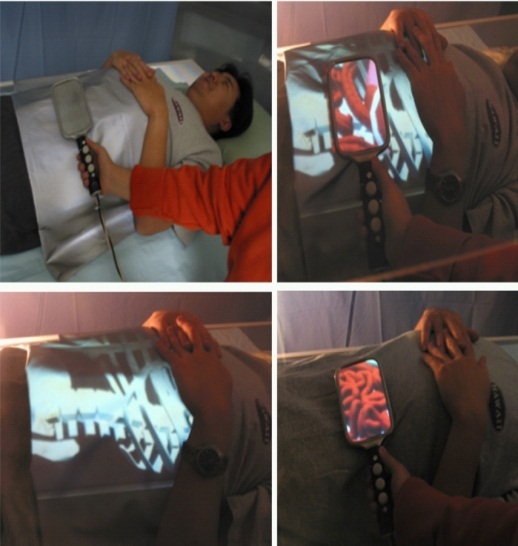 For example, in medical education, AR can provide a learning activity which is almost identical to the real surgeon for interns by increasing medical visualization. Along with the benefits of it, AR has a lot of potentials to promote learning. First, AR can support experiential learning in a classroom by providing contextual clues or information on learning in AR. Second, AR can promote deeper understanding between a real world and a virtual world by associating learning information with the reality. 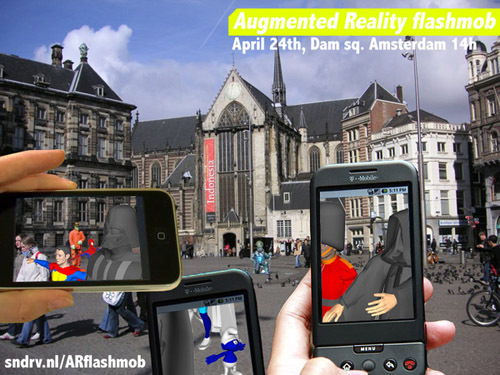 Finally, AR enables students to lead active learning by constructing and manipulating 3-D objects or clues in person. Here are some examples of using AR in a classroom. Teachers can produce ‘markers,’ which include information about a topic or content and post them on the board, walls, or anywhere in the classroom. Then, students can scan the markers or QR code (IC Quick Tips) with mobile devices to get additional information. Teachers could engage in classroom discussions about alternative forms of energy with interactive 3D wind turbines or solar panels found at http://ge.ecomagination.com/smartgrid/#/augmented_reality. Imagine students creating a textbook with 3-D, interactive AR. Students can conduct class projects or homework assignments using AR software or applications with a tablet or mobile device. Students actively engage in learning activities with AR and are expected to accomplish them more successfully. All of this provides more options for different students and different ways to present information. One possibility of AR is to promote collaboration through social interaction among students in the AR environment because multiple students can share virtual objects provided by AR. This kind of virtual objects can be a means to communicate with students. Or remote collaboration is also available in the AR environment. As always, the introduction of new technology has benefits and disadvantages. Here are some of the benefits and drawbacks of AR. There are four benefits of AR: (a) multi-sensory immersion, (b) transitional interface, (c) tangible user interface, and (d) synergy with mobile devices. 1. Multi-sensory immersion: AR leads sensory immersion about information or knowledge by augmenting human perceptions with 3-D objects or materials. 2. Transitional interface: AR provides a seamless transitional interface between a real world and a virtual world. 3. Tangible user interface: AR offers tangible user interface with which digital objects or information can be touchable in AR. 4. Synergy with mobile devices: As mobile devices and its applications are advancing, mobile users can experience with more gesture and touch. There are three drawbacks of AR: (a) high level of reliance on digital information, (b) privacy concerns, and (c) a need of extra wearable devices. 1. High level of reliance on digital information: Too much reliance on digital information may cause the decrease of working memory in the brain which in turn hinders the development of brain functions. 2. Privacy concerns: As AR software and applications are developing, it will become easy to gather information on AR stuff from social network services (SNS) and post them and thereby an unwelcome situation such as private information will occur. 3. A need of extra wearable devices: Since users may want to feel more authenticity in AR, wearable devices such as Google Glass (ABC news on Google Glass) and Apple’s iWatch (Wearable Tech And Augmented Reality – NPR OnPoint) may be provided for users in order to offer authentic experiences in more convenient yet expansive way. This entry was posted in emerging technologies, Google, mobile technology, uncategorized and tagged google, iphone. Bookmark the permalink.